Social media can be every photographer’s global storefront to sell their photos to an audience that will soon reach one billion people. Whether you’re targeting stock photo companies; wedding, portrait or high school customers; or publication or online content editors, rely on the MorePhotos Facebook App. It makes the process easier and helps you reach the best prospects of that huge audience, and maximize profits. Once you’ve created a Facebook business page (or several), spend some time carefully determining what photography products you want to sell and their prices. The MorePhotos App allows you to sell both prints and digital downloads. Then, you’re ready to add the MorePhotos App to your Facebook page. It can be easily found using the Facebook search tool. 12% processing fee on profits to cover the transaction expenses including credit card processing fees. 1 Gig image space for 4.99/month, additional space starting at $6.95/month for 5GB of total space. The 5GB storage plan is an excellent choice for professionals. It has ample room for loads of full-resolution images. Security is a high priority with the MorePhotos App. Your galleries can be individually password-protected and all images shown to your clients are right click disabled. You can add a personalized watermark, use the default watermark or choose no watermark. MorePhotos even eliminates the labor-intensive job of ordering prints from a lab and shipping them to your clients. It manages this complete process with printing and shipping services from EZ Prints, a reputable professional lab. 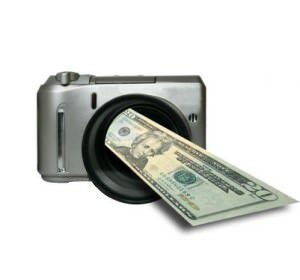 You don’t need a merchant account, as MorePhotos handles credit card processing, and charges just a 12% fee, so you can spend more time taking more photographs to sell to more customers. With the MorePhotos App in place, you’ll then be ready to concentrate on attracting customers to your Facebook business page instead of processing orders. One of the most important strategies is to make sure your page is fully integrated with your Web site and Twitter account. For example, you can connect your blog, so your posts are also seen on your Facebook business page. You can also use the Favorite Pages option to provide links to complementary businesses or content. If you’re a wedding photographer, for instance, then add the pages of wedding planners, florists, reception venues, caterers, etc. in your location (and ask that they reciprocate). You’ll strengthen your brand because visitors to your Facebook page will find additional information they may need without having to make separate searches. Although you want to include a strong and clear call-to-action to motivate visitors to like your page, you can generate even more interest and repeat visits with a quarterly contest or special offer (which would not be automated through the MorePhotos App). For example, when customers order a specific amount through your MorePhotos App, they receive a free print. You could also create an awards program, which earns customers so many points to exchange for gifts. All of this activity will make your Facebook business page more visible. With these tips, you’ll be able to attract your specific niches of highly qualified customers, sell them more product with the MorePhotos Facebook app and maximize profits with less of your valuable time required. Learn more about MorePhotos at morephotosapp.com.